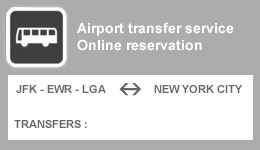 Kennedy, Newark Liberty, LaGuardia - all luxury transfers services from the three airports serving New York City. Get a quick and efficient private chauffeur car - either limousine, luxury sedan, towncar or private shuttle transfer between your New York airport and Manhattan or any other location. Looking for professional, safe and affordable transportation to all airports, events and corporate travel within the New York Metro area ? Please review our list of local chauffeur car services in operation. Please note that a limo transfer should be booked in advance - a 72H advance booking is what is usually required to guarantee availability and good service. 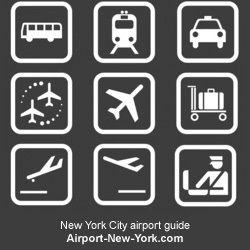 Airport-New-York.com is an independent non official guide to Newark, Kennedy and LaGuardia.